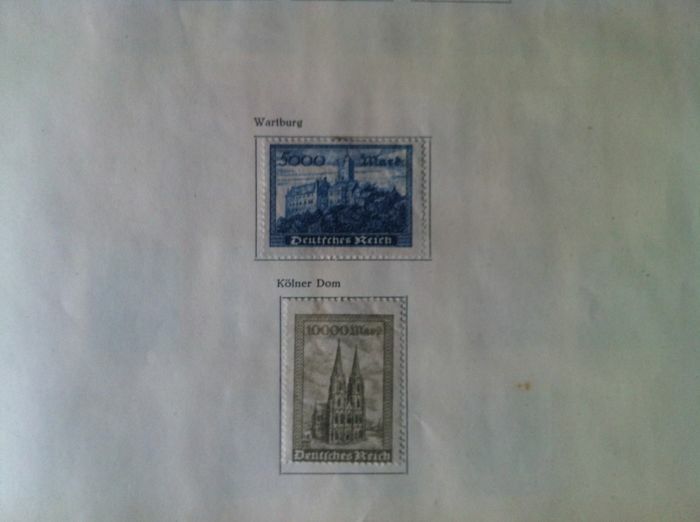 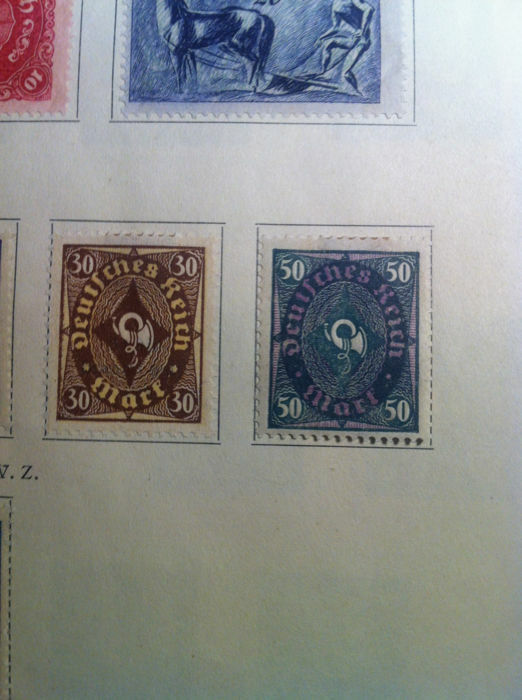 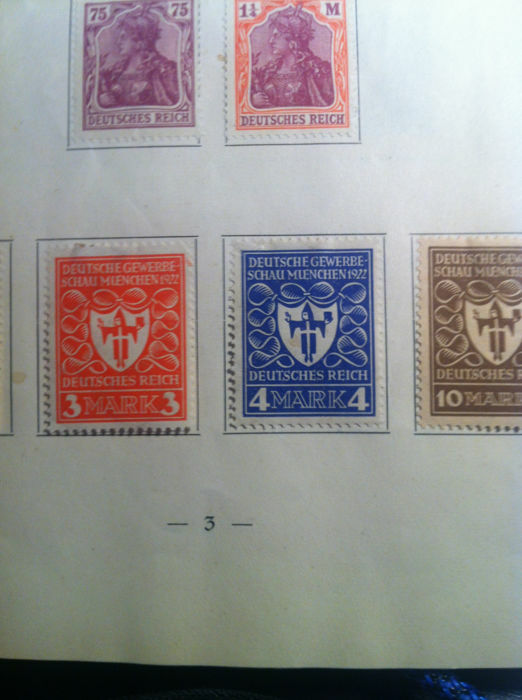 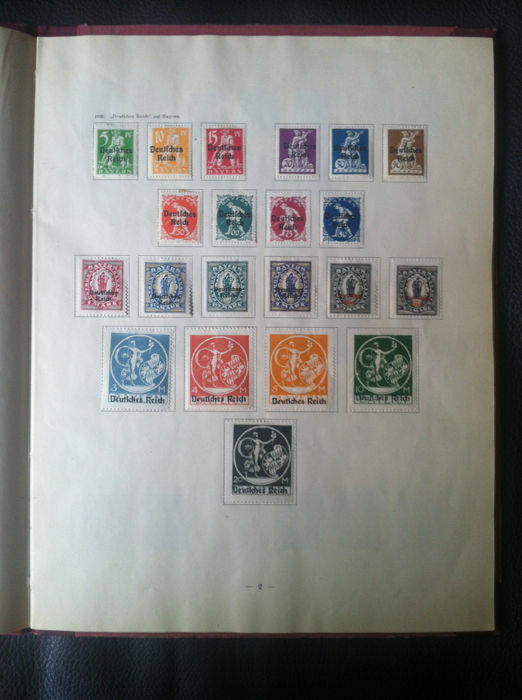 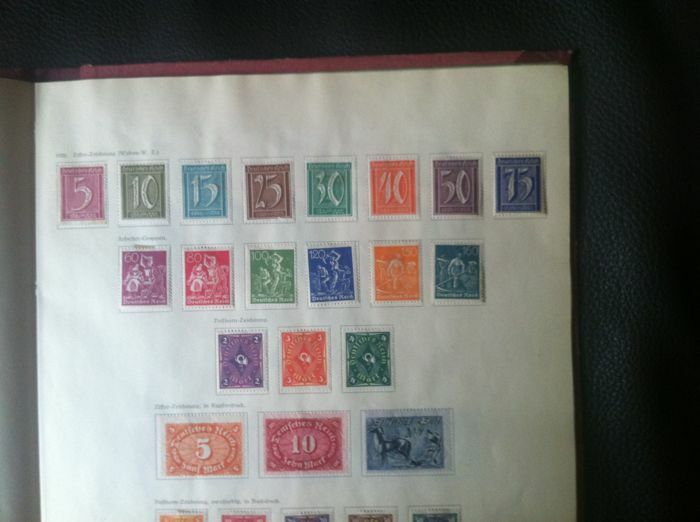 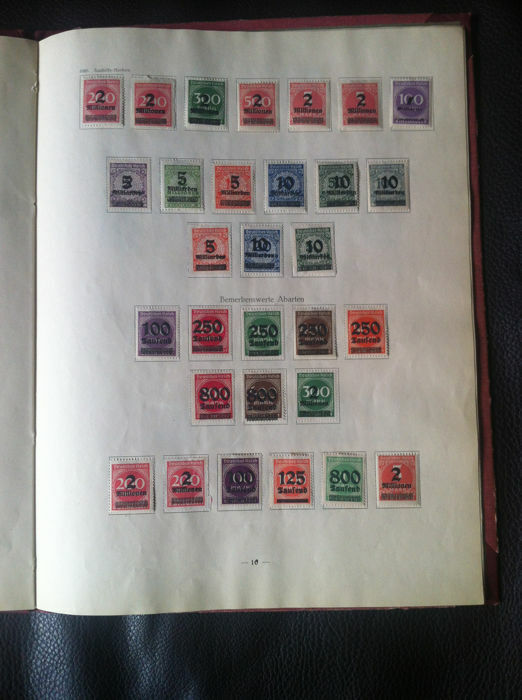 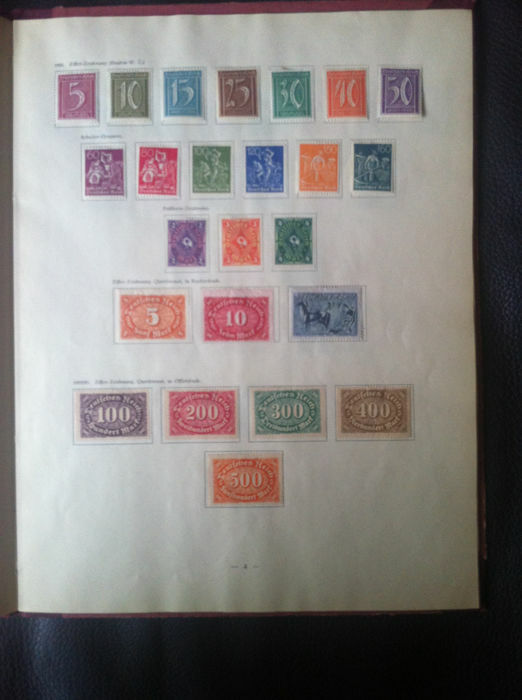 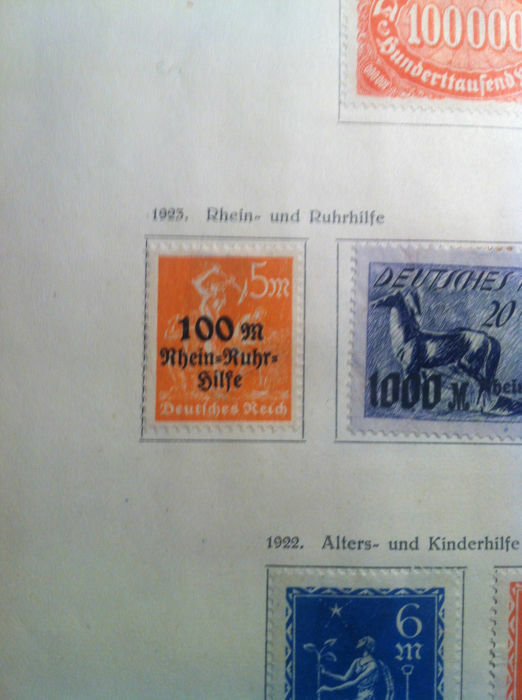 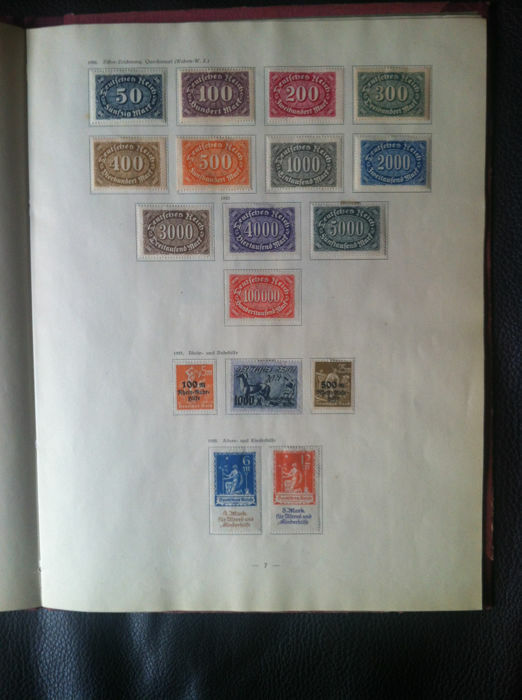 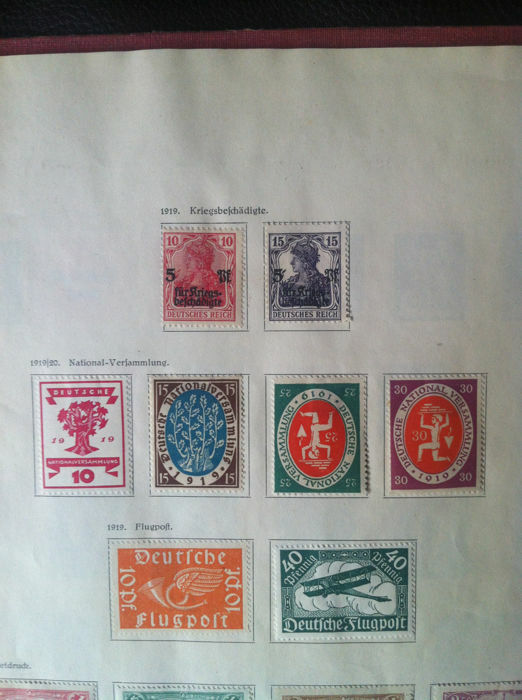 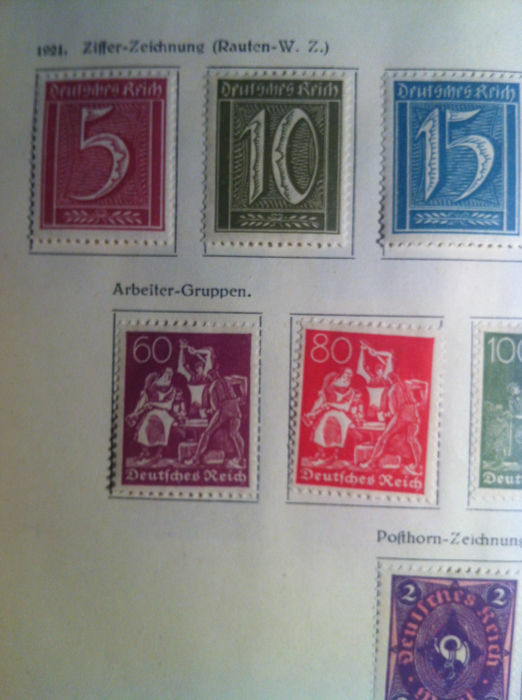 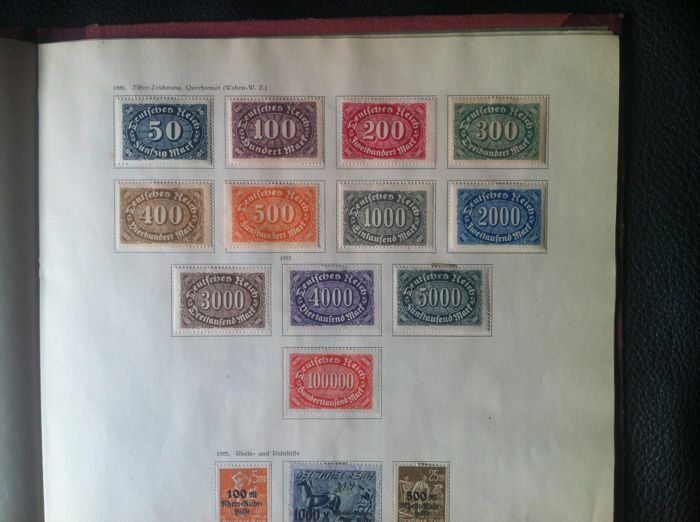 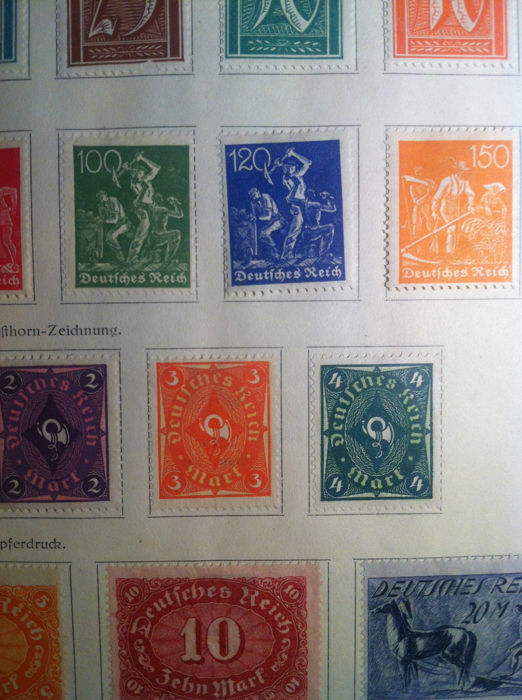 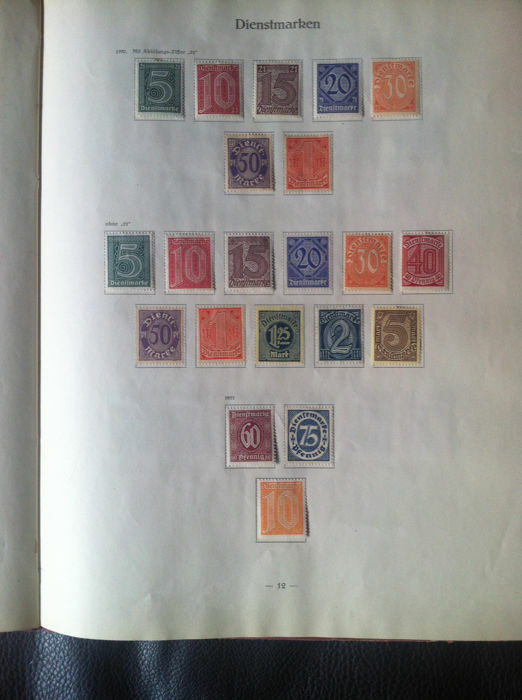 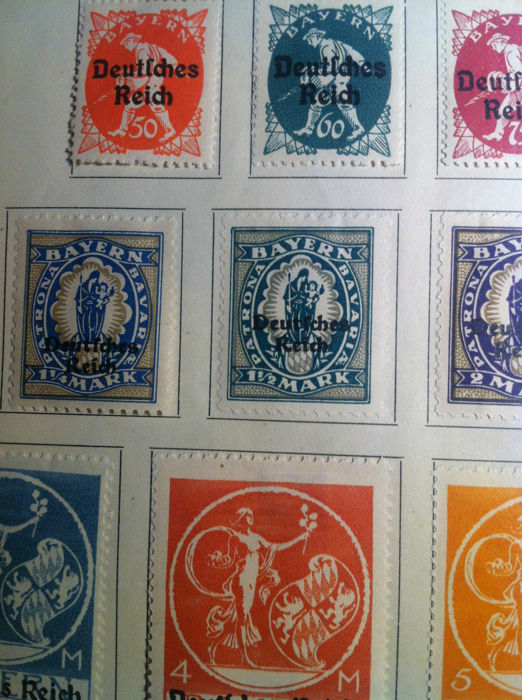 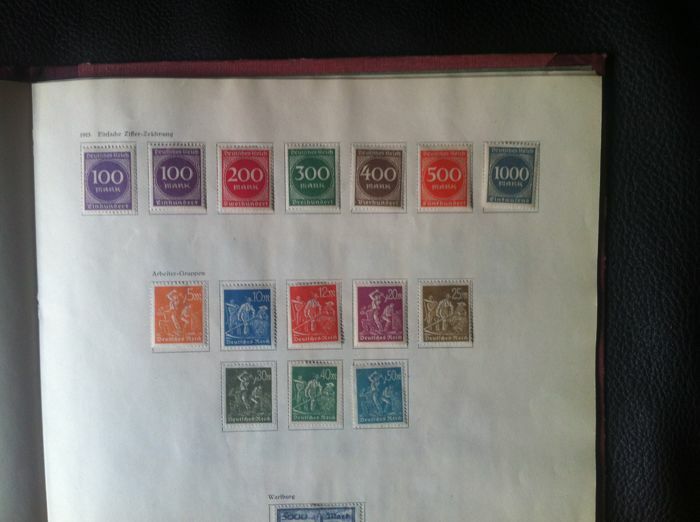 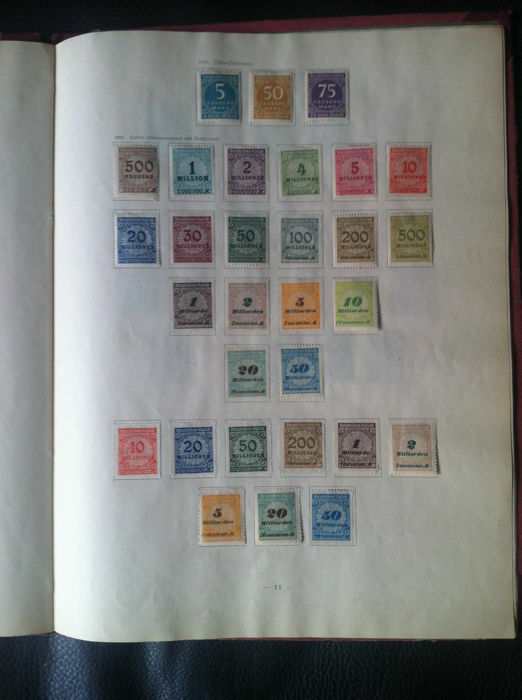 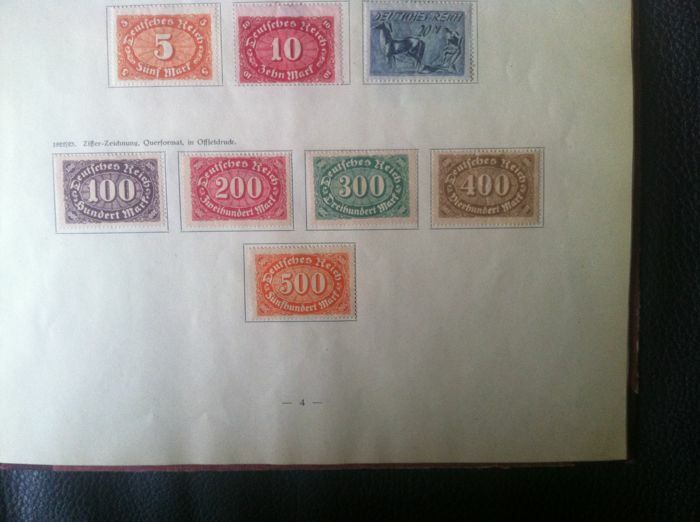 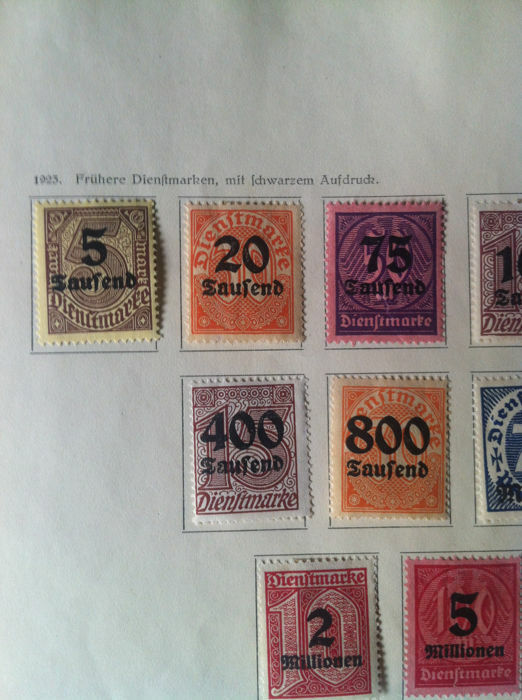 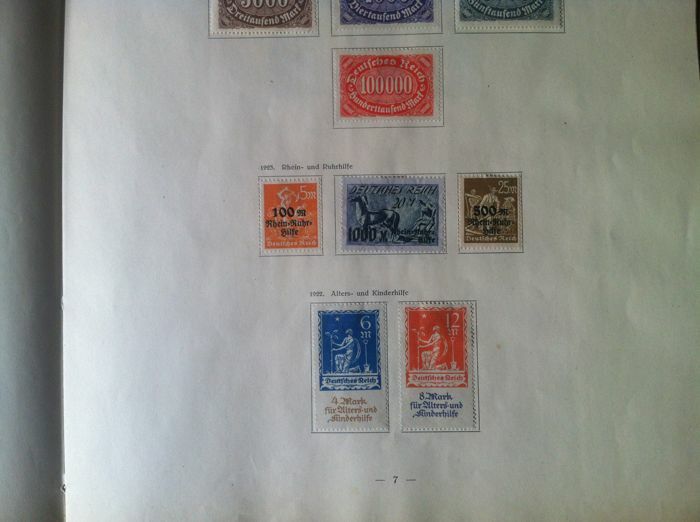 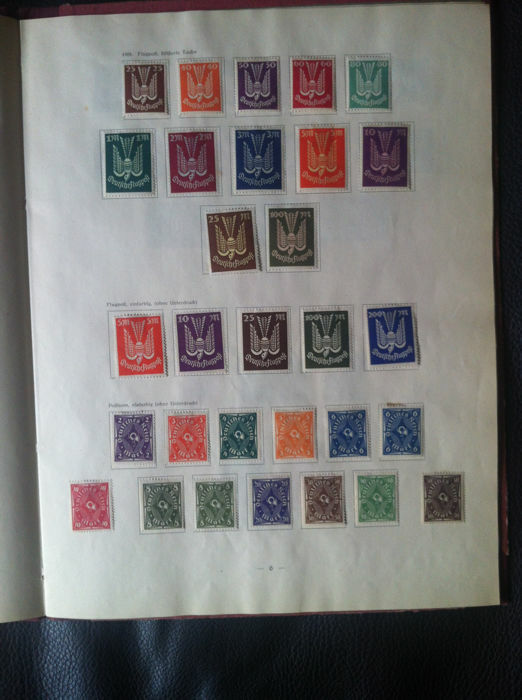 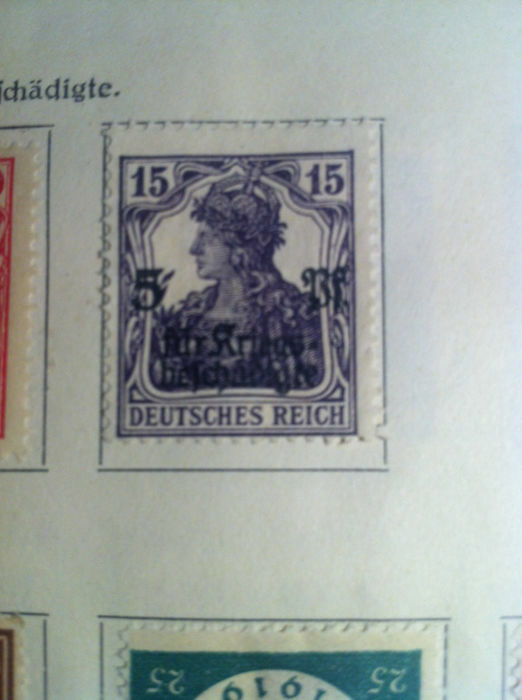 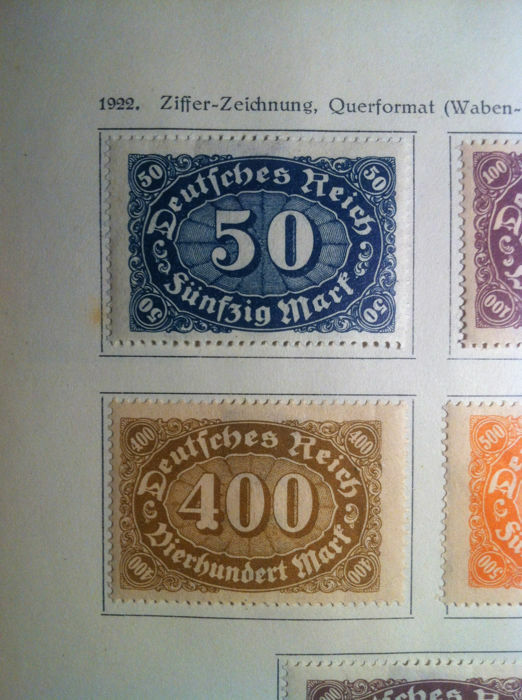 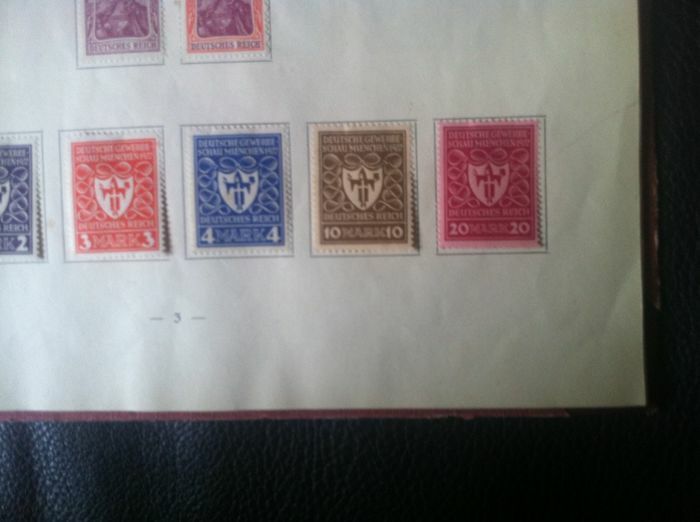 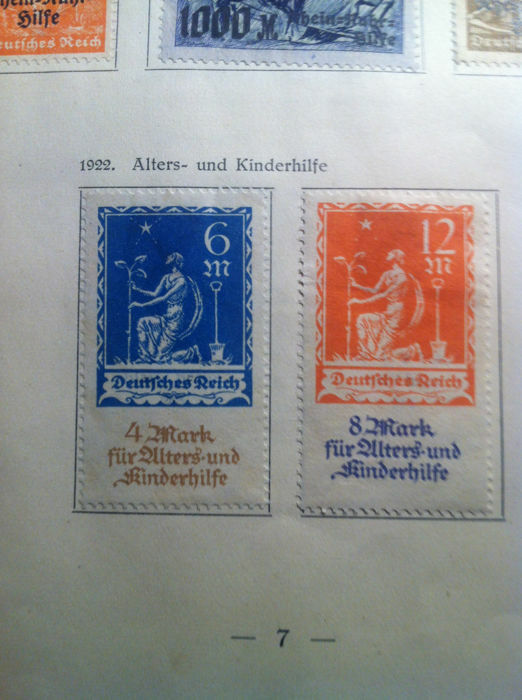 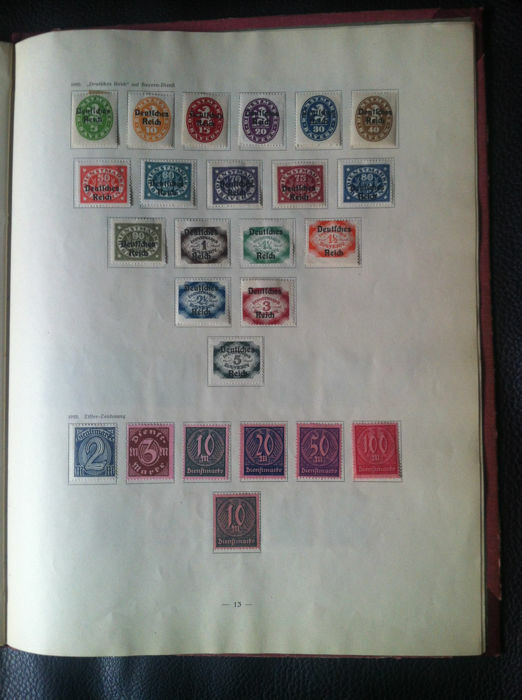 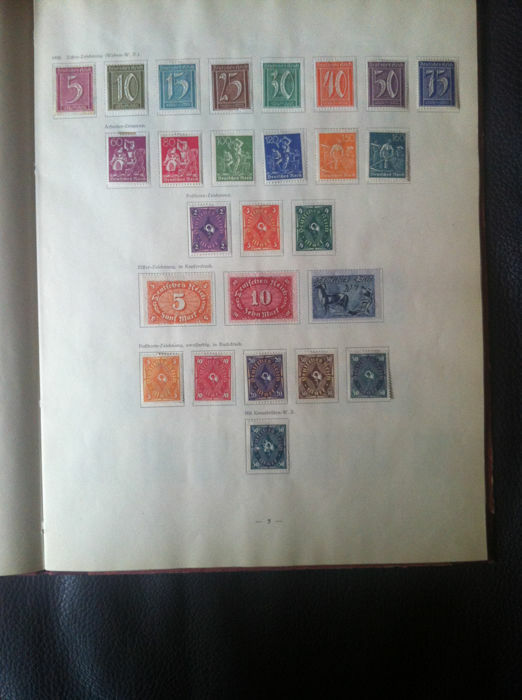 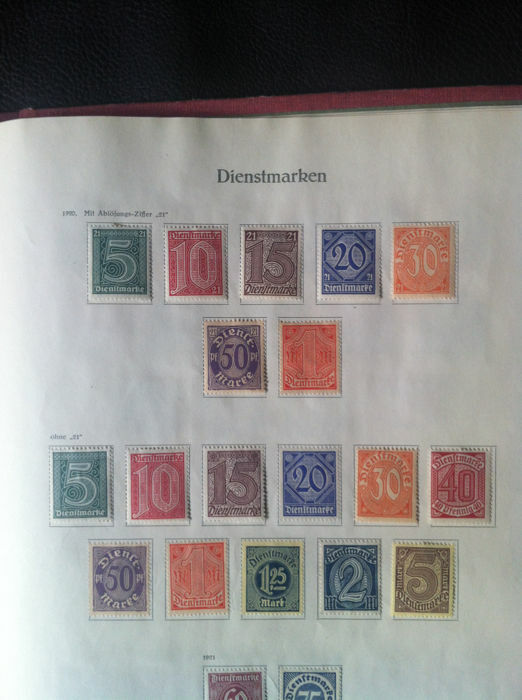 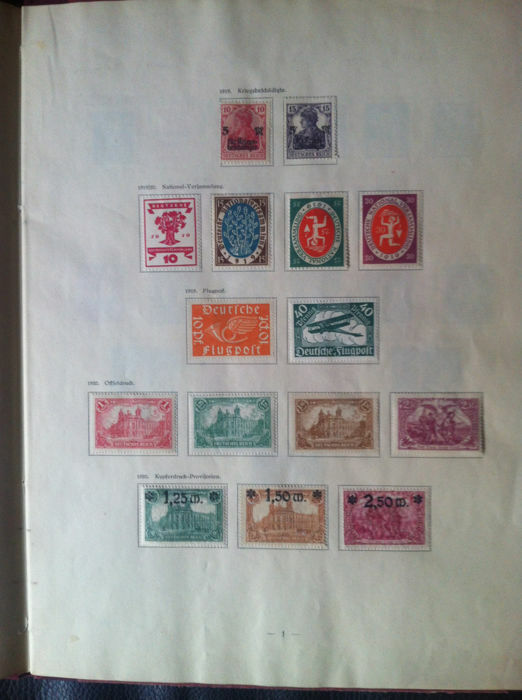 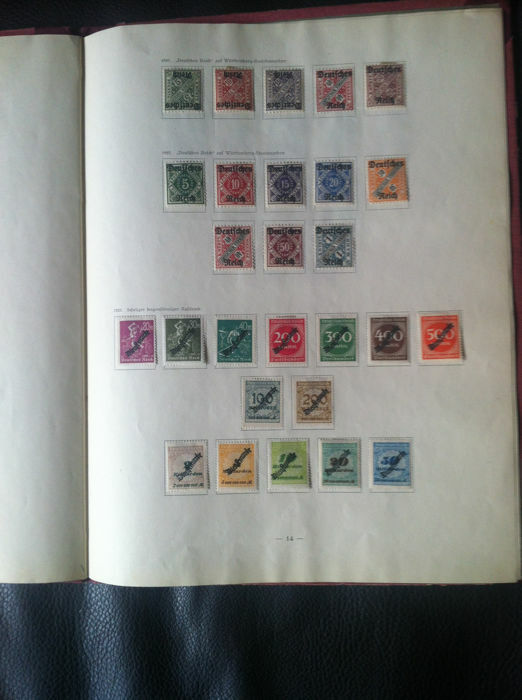 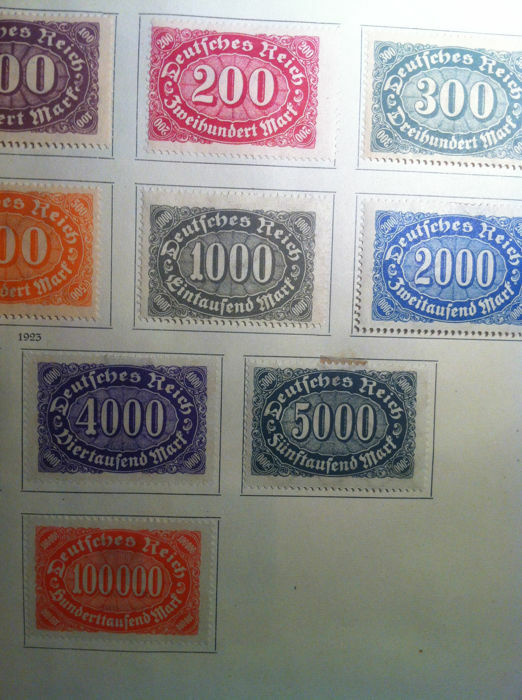 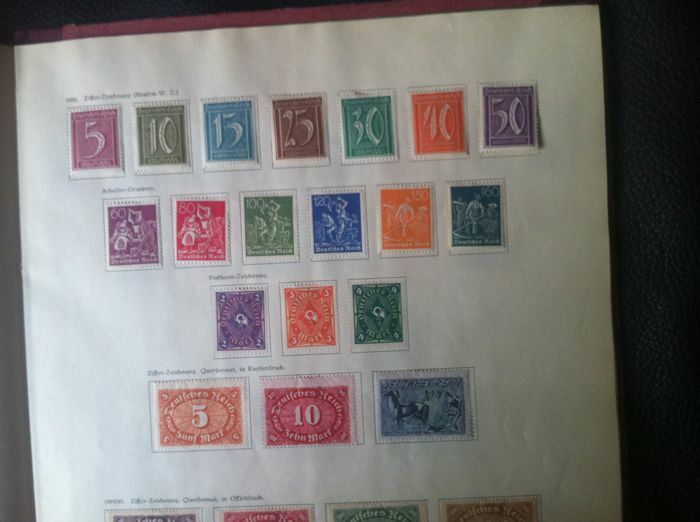 The album contains stamps that are more than 100 years old in very good, like-new condition. 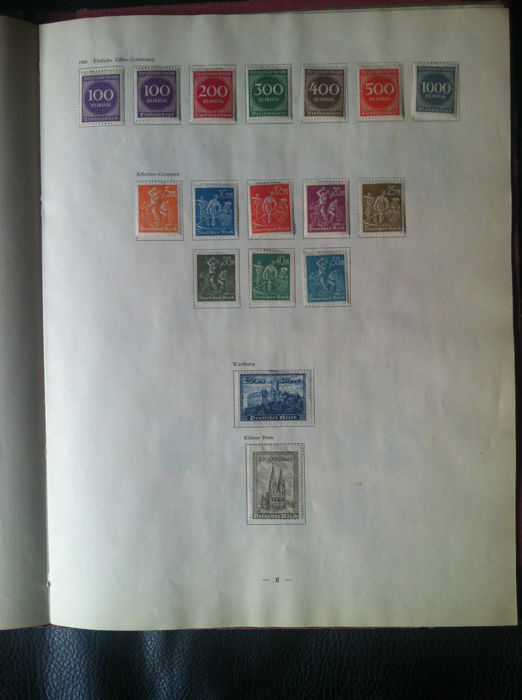 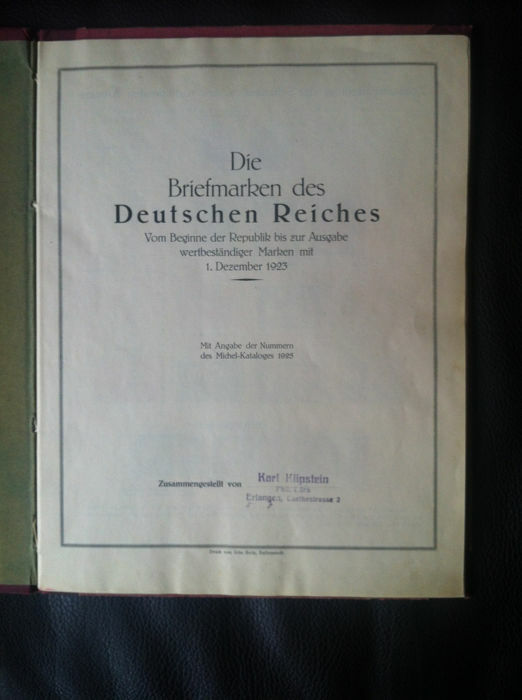 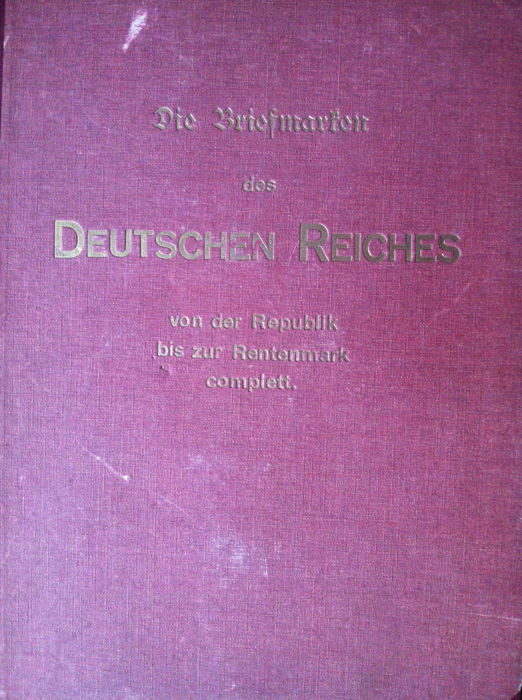 It contains all the values represented on the first page (a sort of prologue). 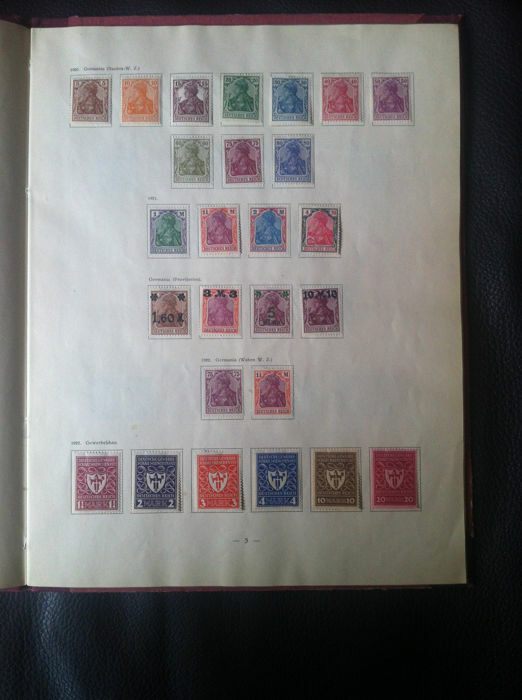 Page 1 contains 15 stamps, page 2, 21 stamps , page 3, 26 stamps, page 4, 24 stamps, page 5, 26 stamps, page 6, 30 stamps, page 7, 17 stamps, page 8, 17 stamps, page 9, 32 stamps, page 10, 30 stamps, page 11, 30 stamps, page 12, 21 stamps, page 13, 26 stamps, page 14, 27 stamps and page 15 contains 11 stamps, totalling 323 stamps in excellent condition and with prices that vary according to the catalogues, between €1 and €170 and more, taking into account the overprints and cancellations. 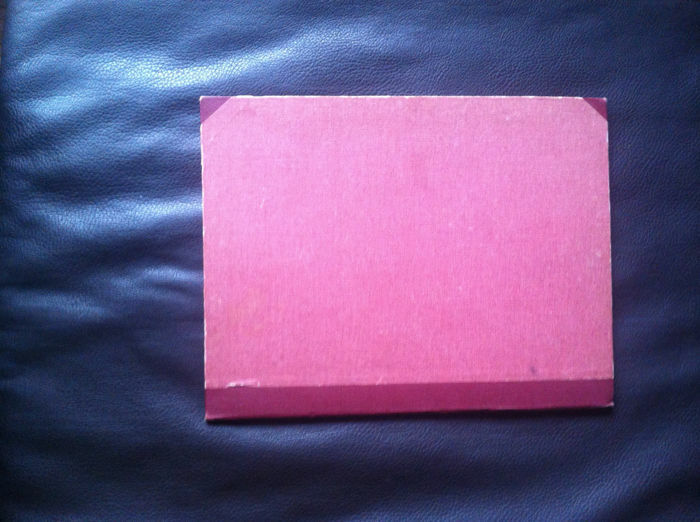 Have a careful look at the photos to form your own opinion about the album. 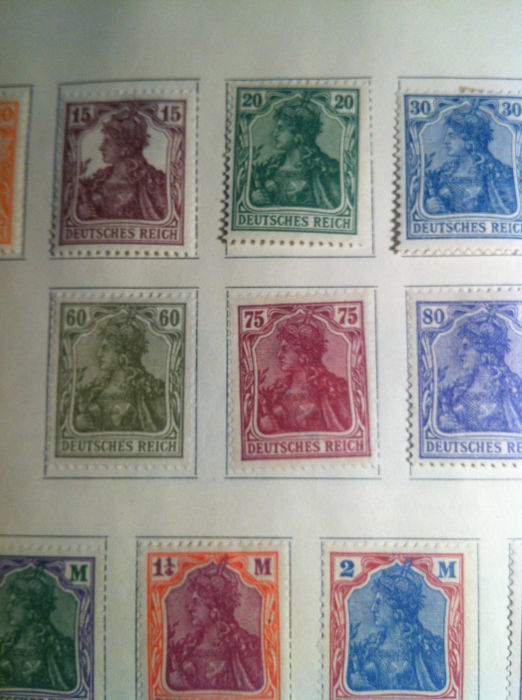 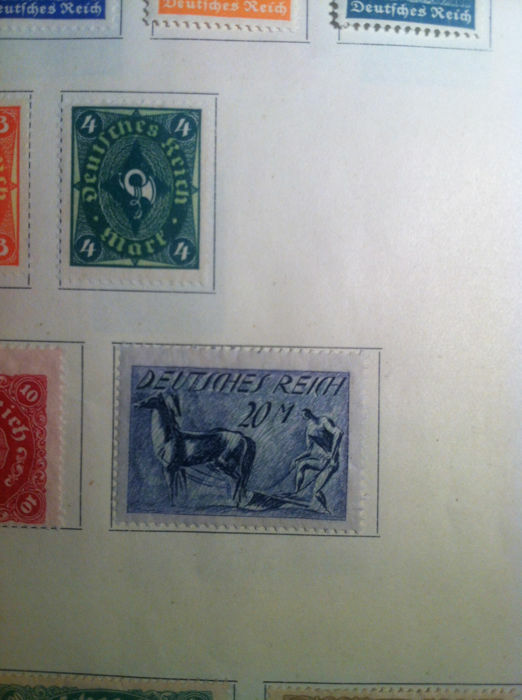 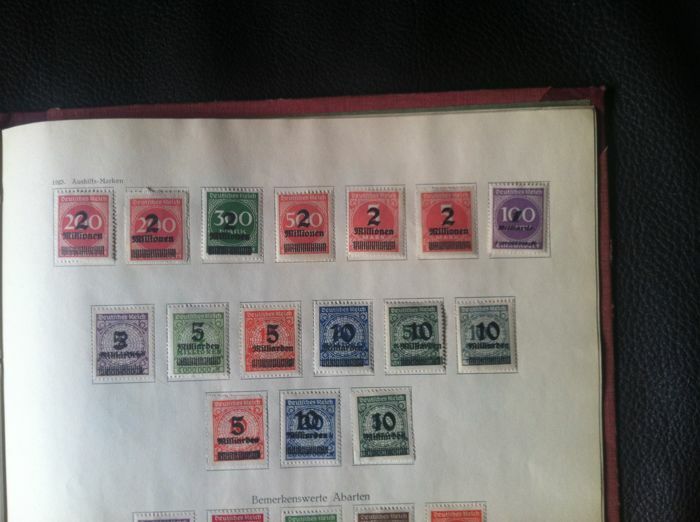 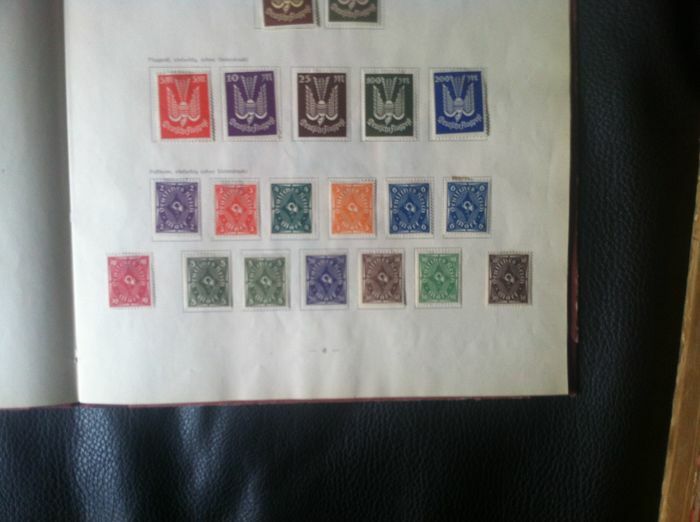 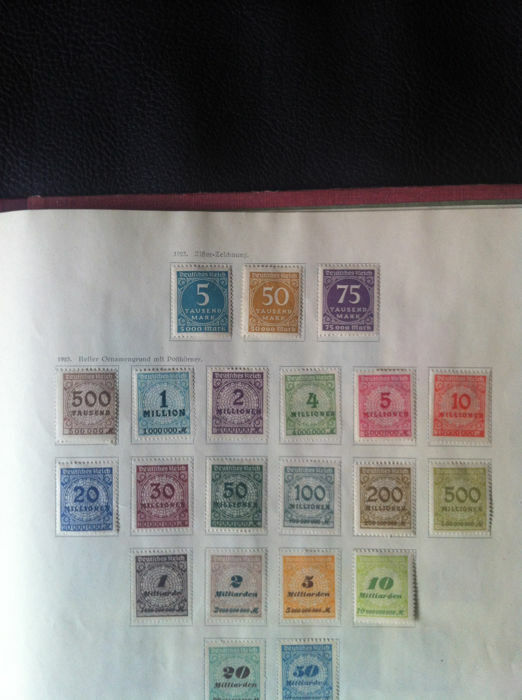 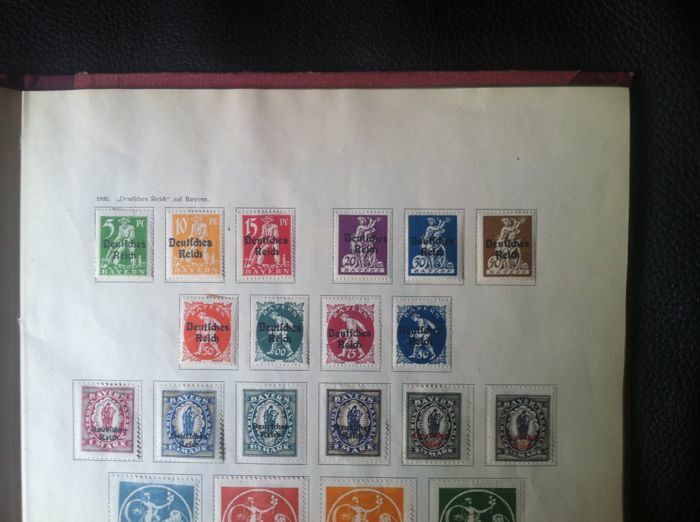 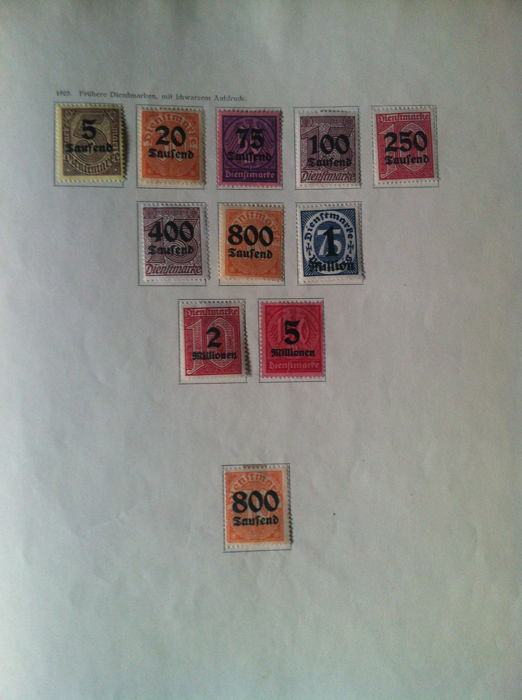 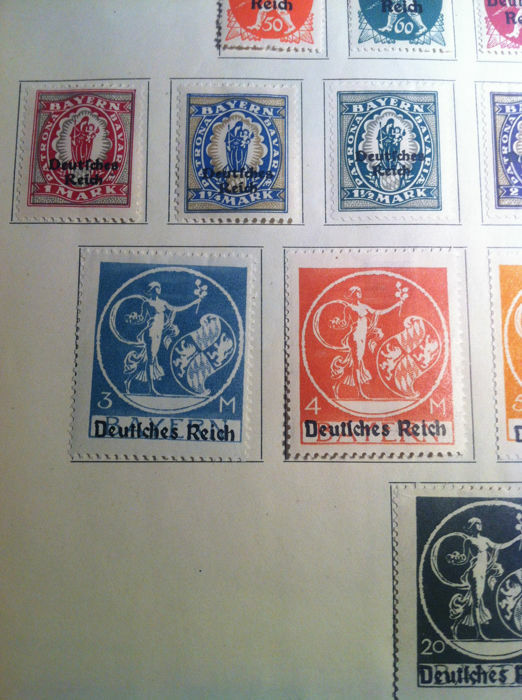 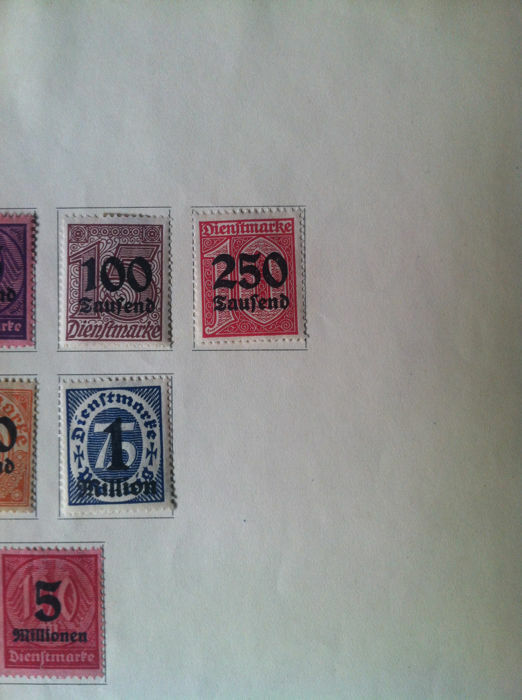 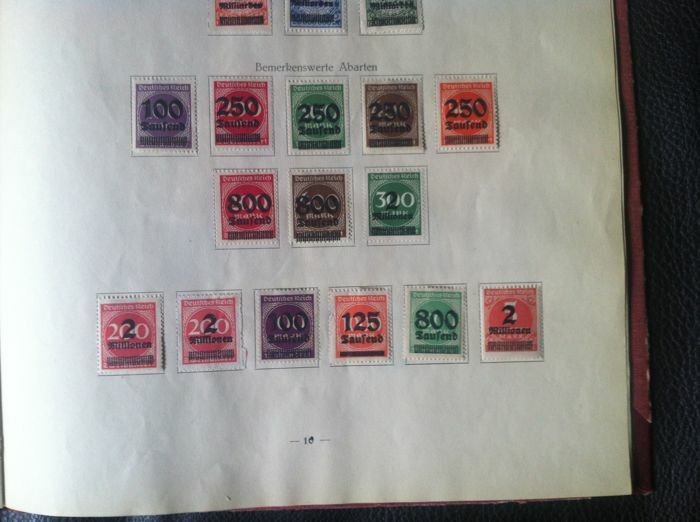 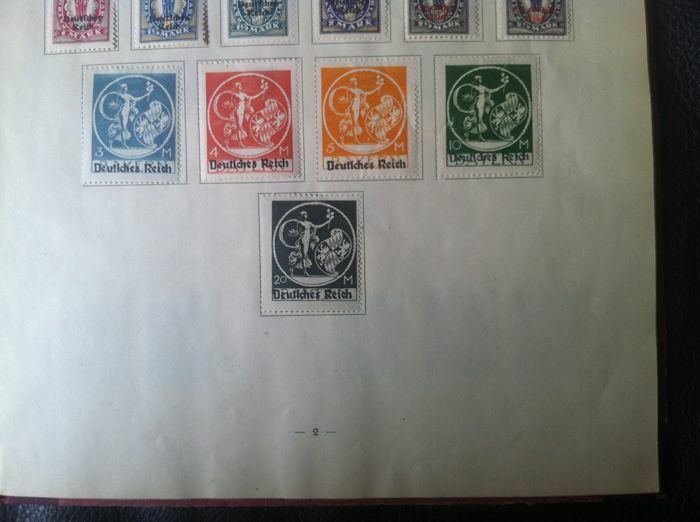 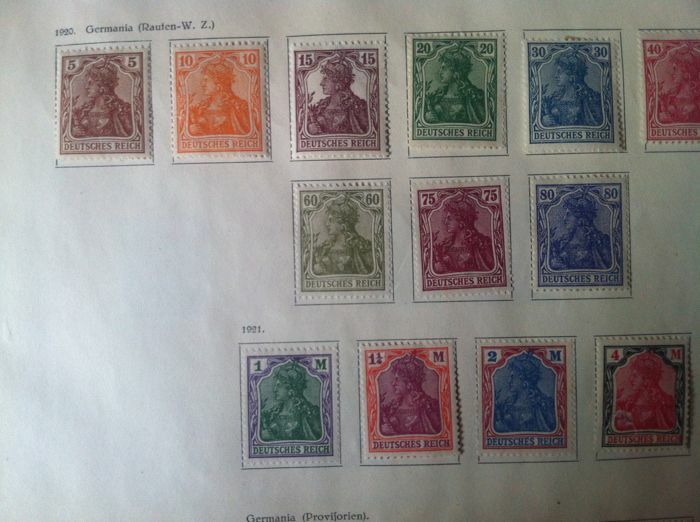 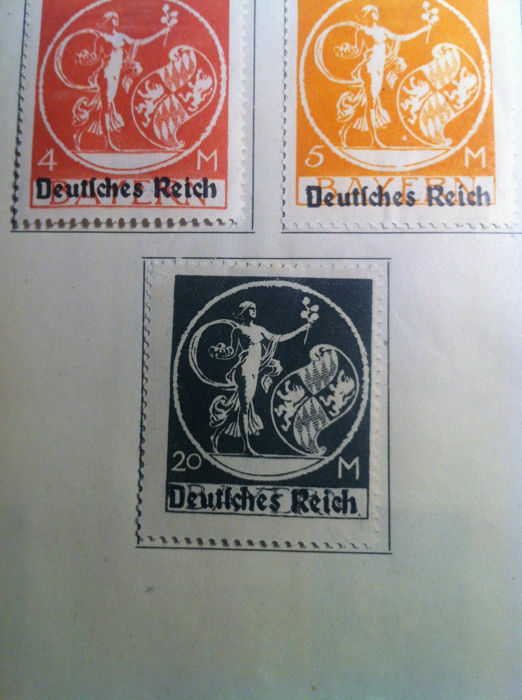 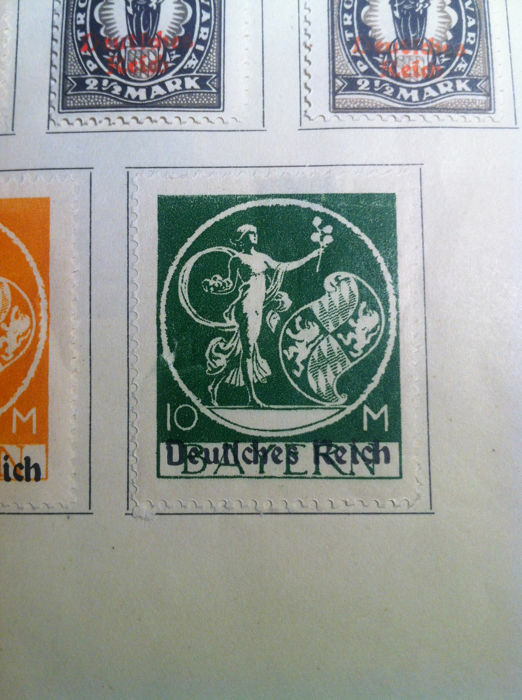 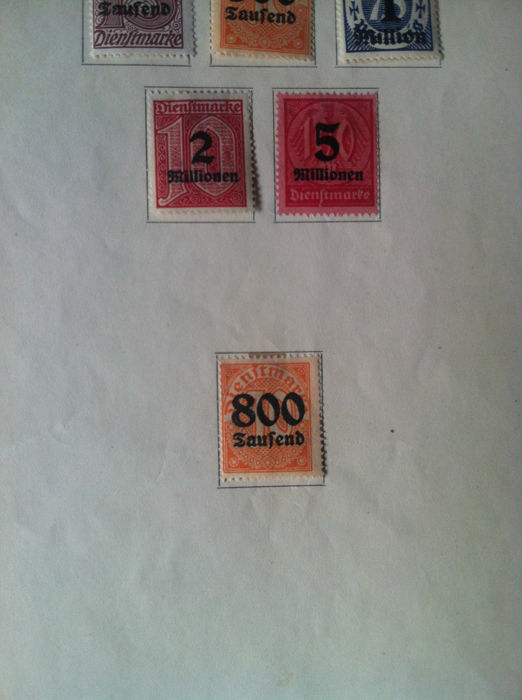 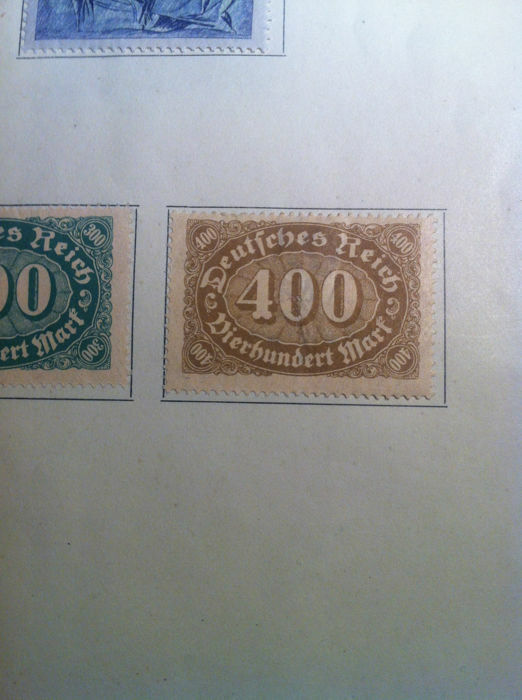 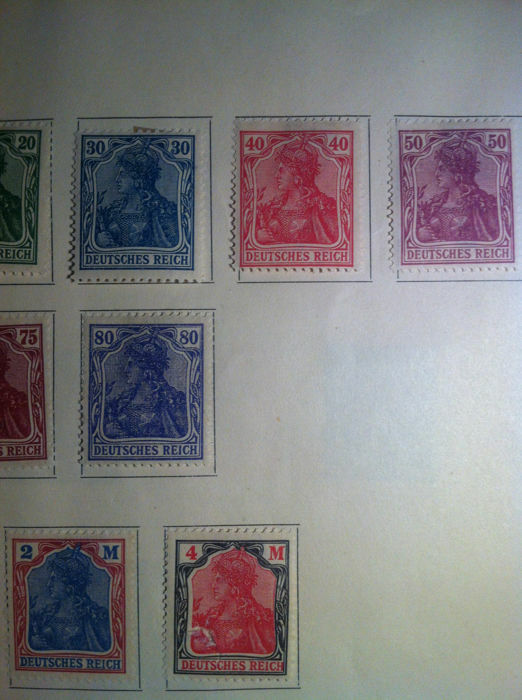 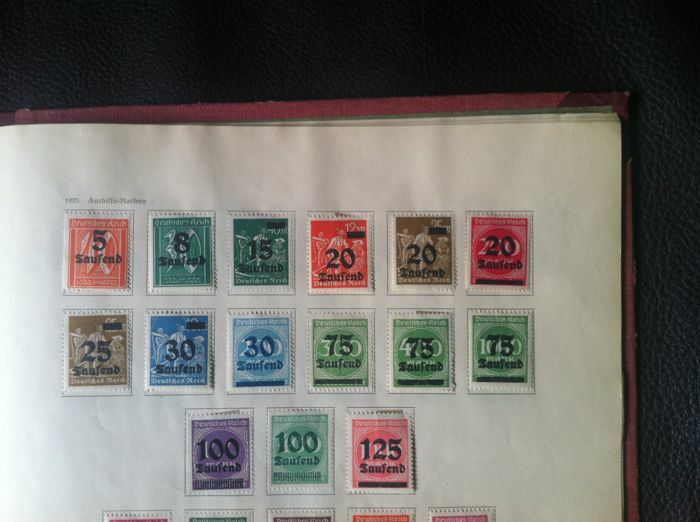 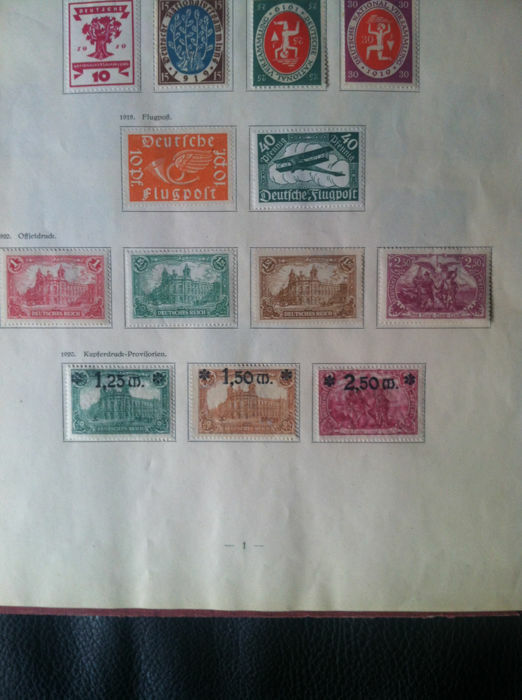 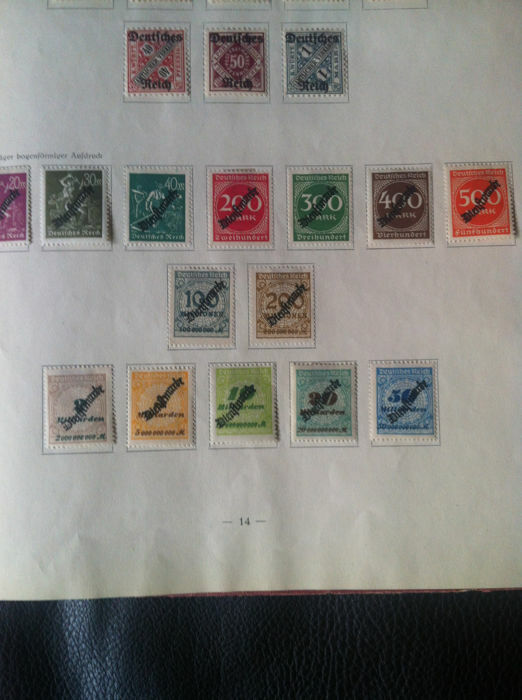 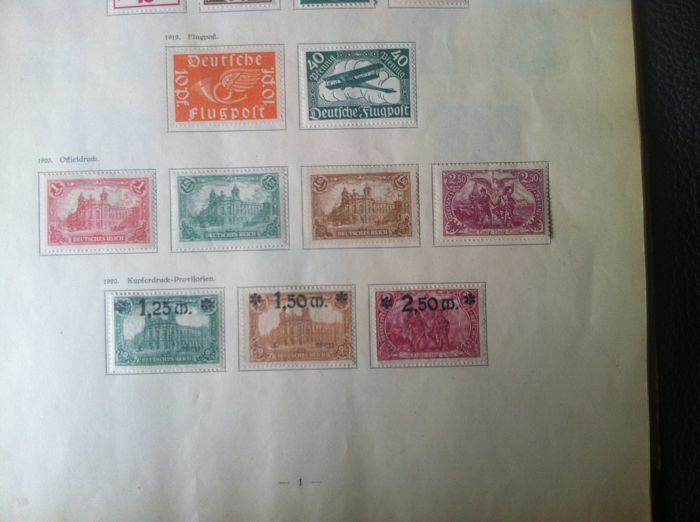 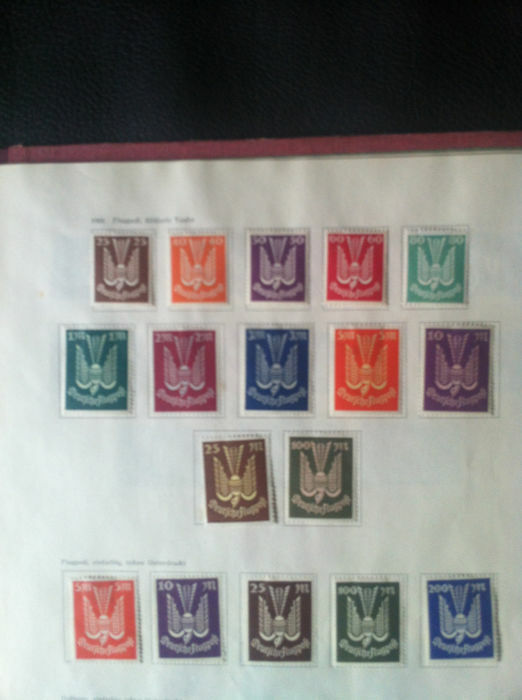 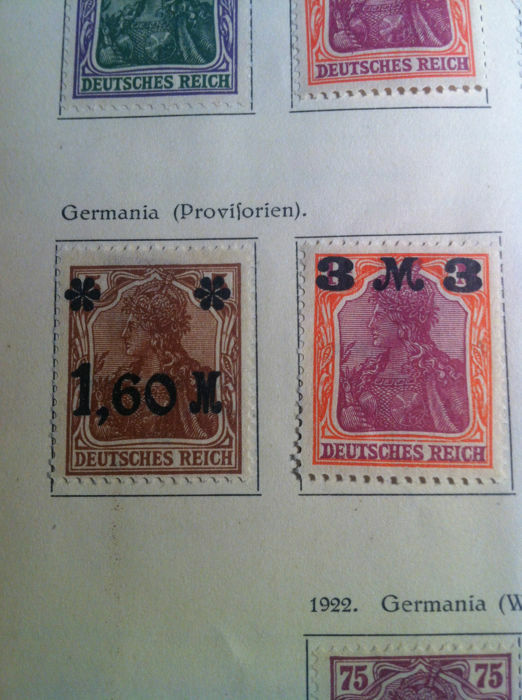 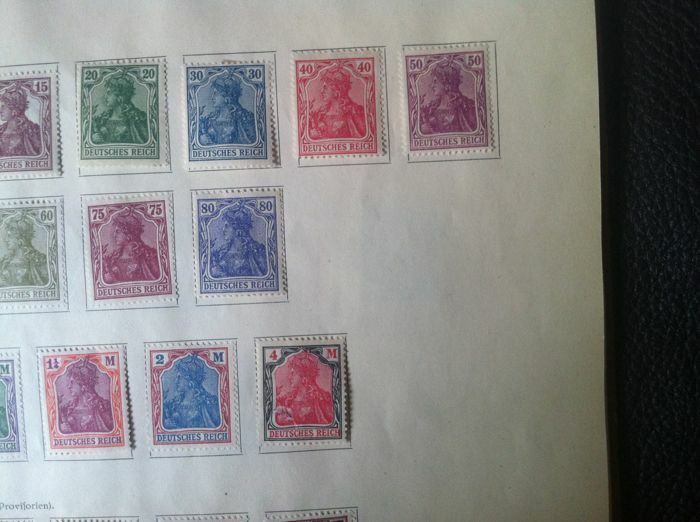 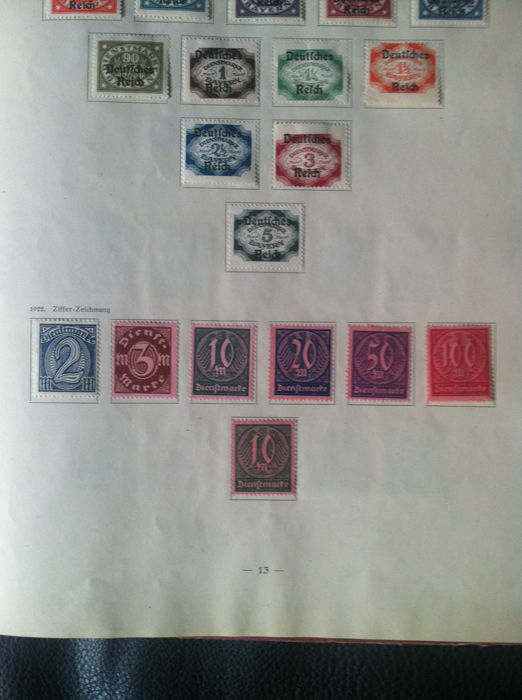 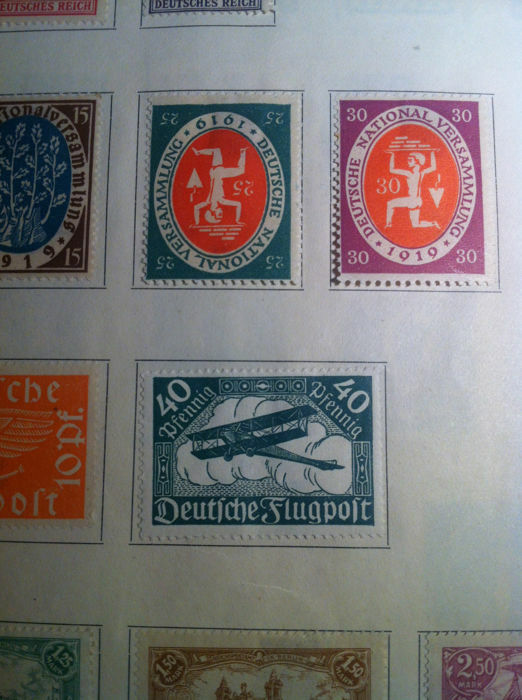 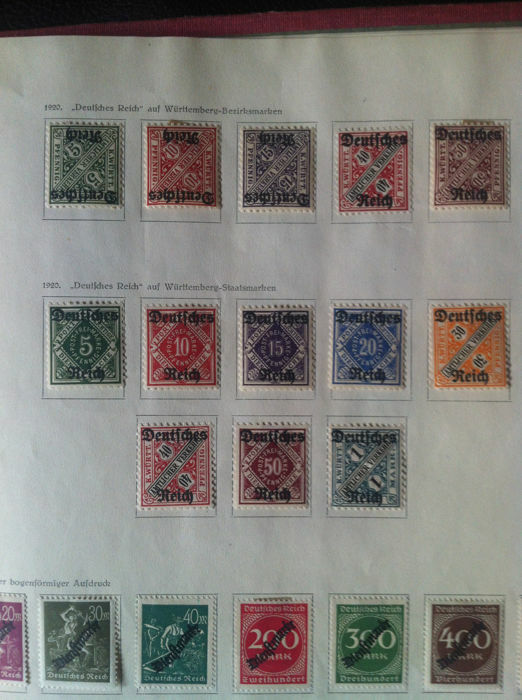 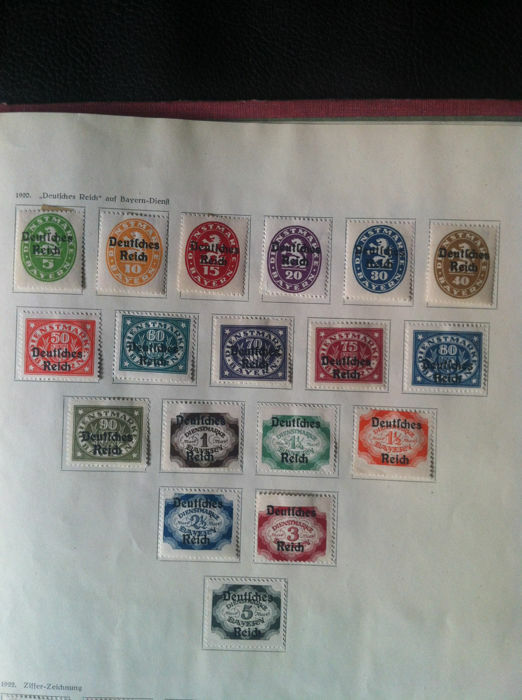 The condition of the stamps, which is very good, can be seen in the photos. 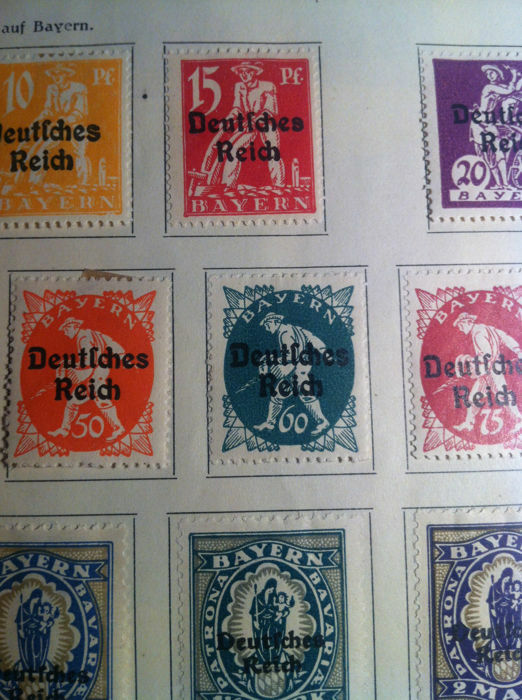 The album will be shipped, with insurance, via DHL. 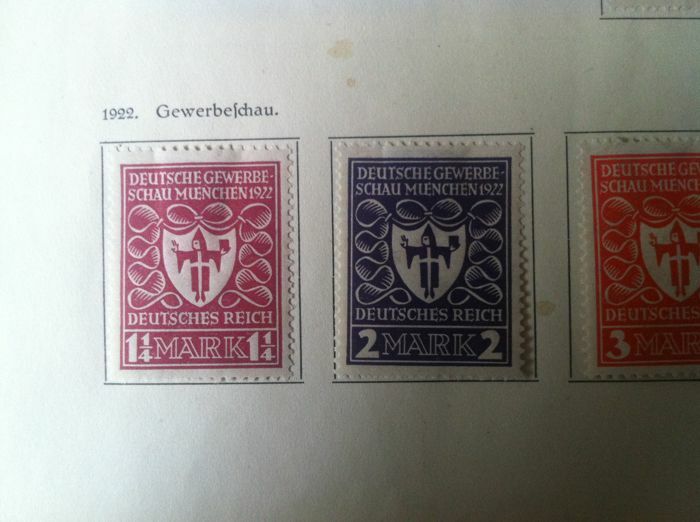 Schreibware gut verpackt und flott verschickt. 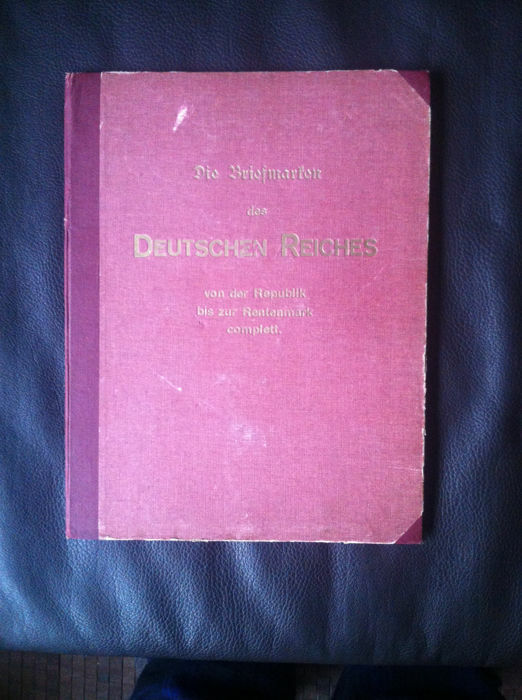 Dankeschön! 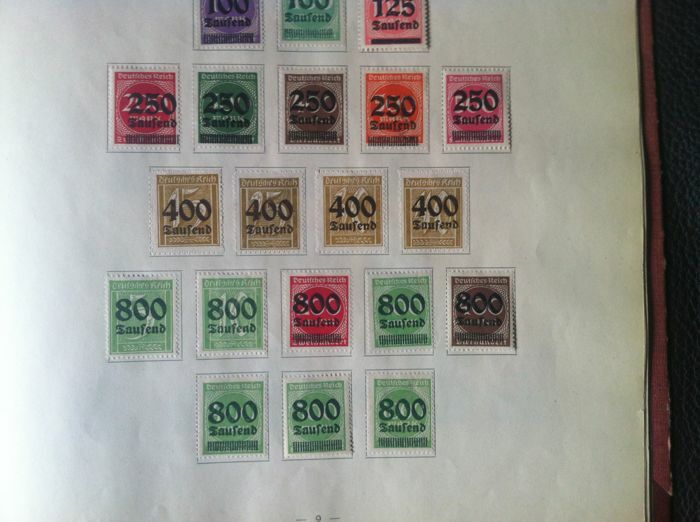 Thank you very much Eric!! 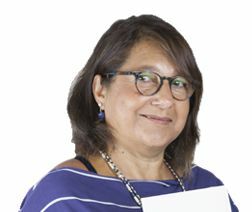 el producto responde a las expectativas. 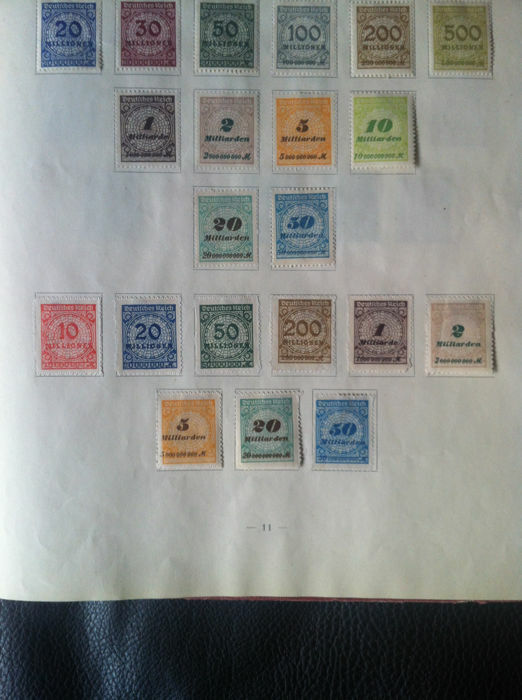 Tack, min älskade radio har anlänt. 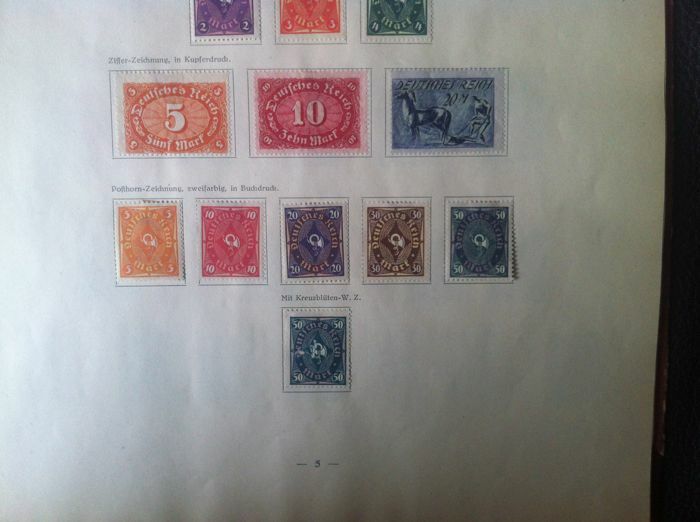 Snyggt och fint emballerad. 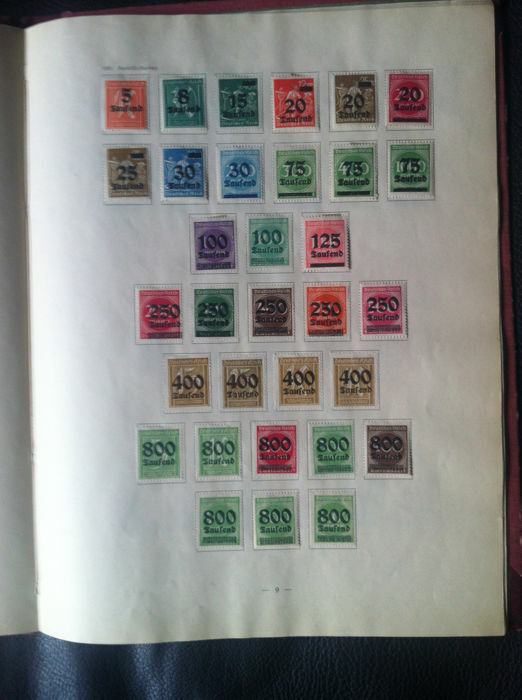 Jag är mycket nöjd och tacksam att jag hittade den bland era utbud. 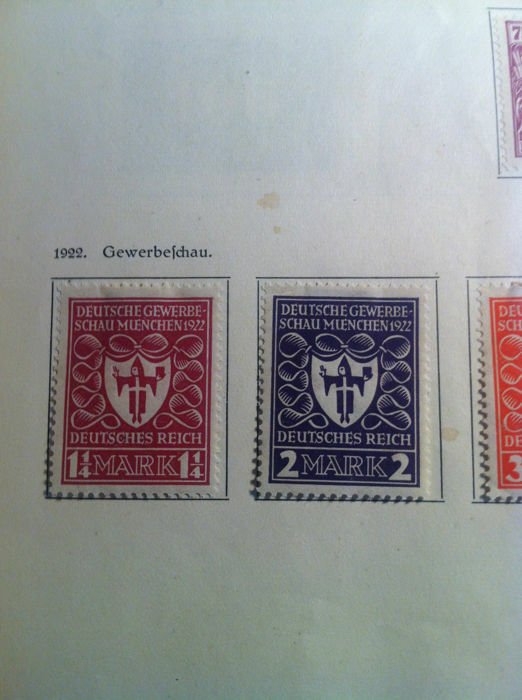 Alles bestens! 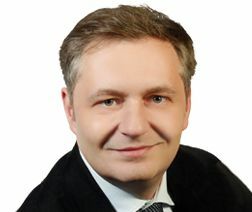 Bild wie beschrieben, schnelle Lieferung. 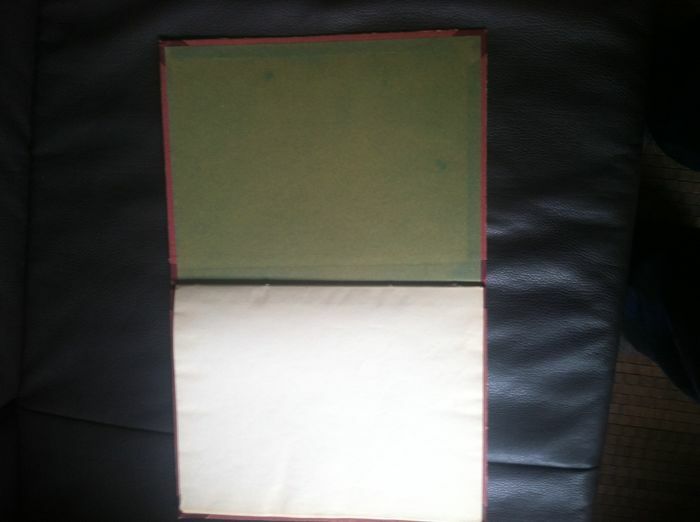 The auction text stated the case was stainless steel and it was not at all. 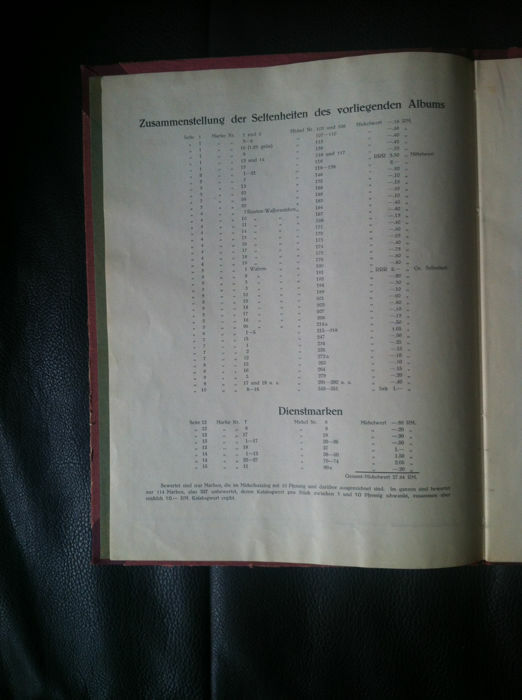 No pictures of the inner side of the caseback where it is engraved that it is not stainless steel. 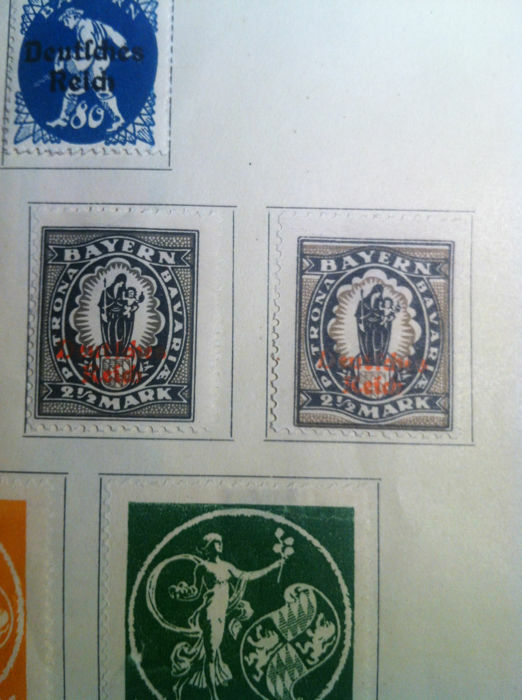 Good communication, quick shipment and wonderfull item, Thank you! 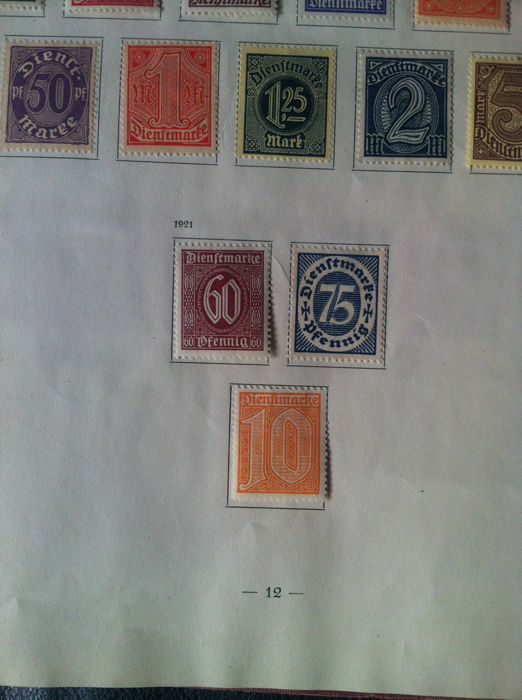 Excellent vendeur, bien emballé et conforme. 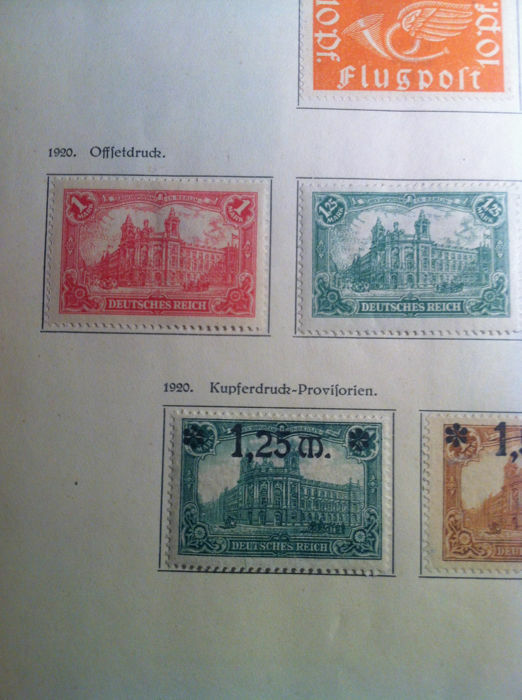 Were some misunderstandings due to the translation and communication. 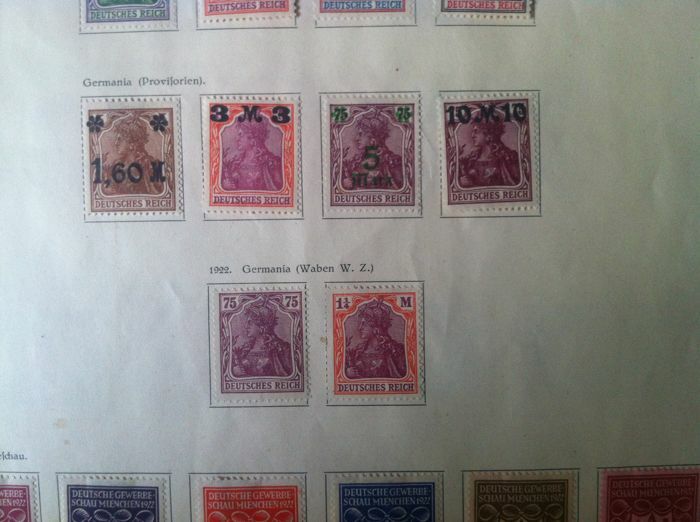 In the end ok.
You can pick up this lot from the seller: Hamburgo (), Germany.